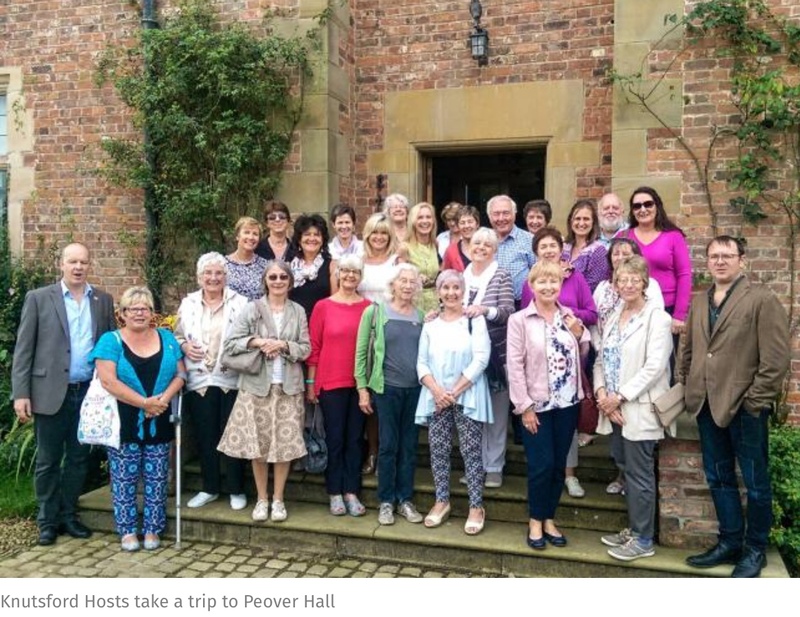 KNUTSFORD Hosts were on the receiving end when they were treated to a private tour of Peover Hall and high tea courtesy of Henry Brooks from the Tatton Estate. 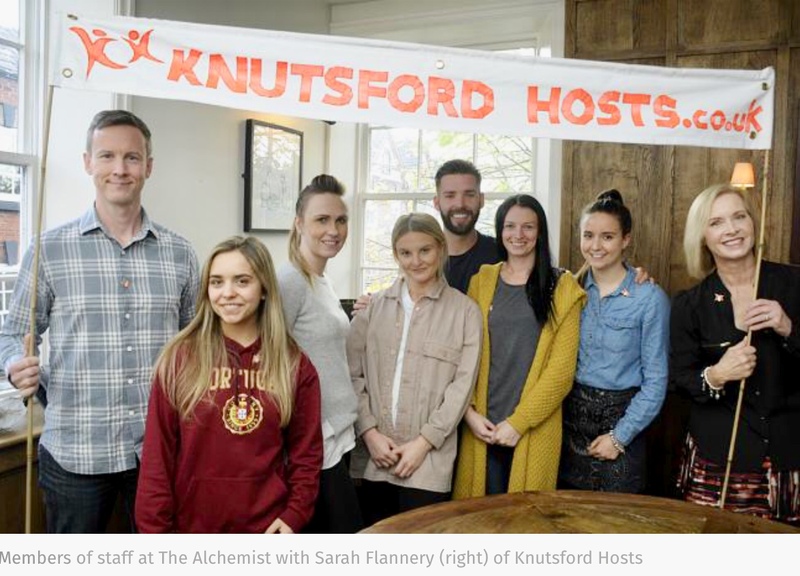 “It’s been an exceptionally busy year so far for the Knutsford Hosts as we’ve volunteered for a huge range of charities and events from RHS Tatton and Knutsford Heritage Open Days to the Lions Street Fair and the Children’s Adventure Farm Trust open day,” said Sarah Flannery, Hosts co-ordinator. 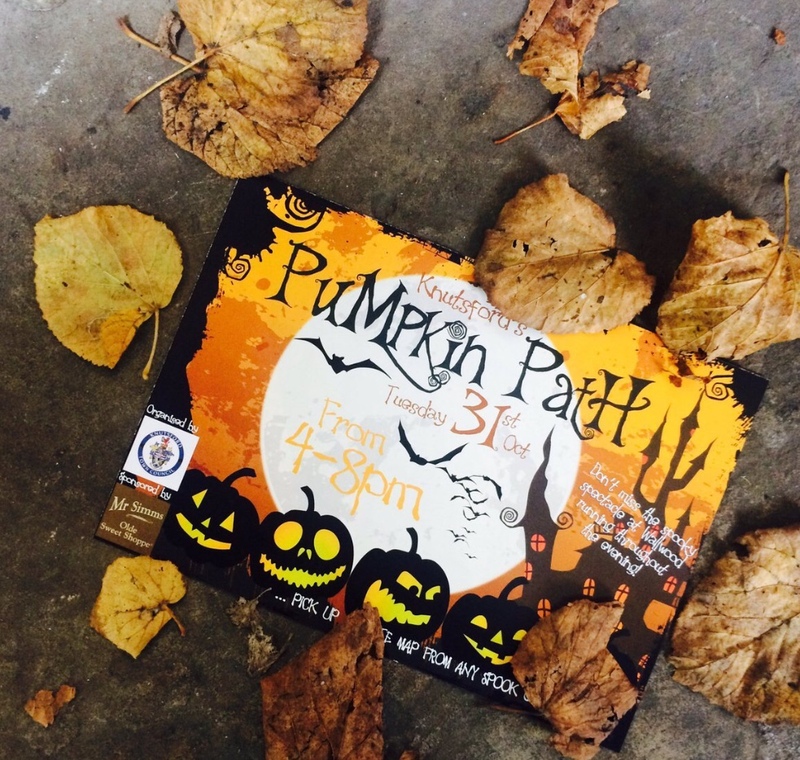 The Hosts have a busy autumn and winter ahead as they will be volunteering at the Knutsford Beer Festival, the Pumpkin Path, the town’s Christmas weekend and lantern parade. “We will also be supporting the Lions Christmas collection and the Tatton Yule Yomp and various other local projects,” said Sarah. FLYING the flag for Knutsford Heritage Open Days, starting today,Thursday, is BBC Radio 6 Music DJ and Knutsford resident Mark Radcliffe. Organisers of the four-day town-wide festival which starts today, Thursday, September 8, to Sunday, September 11, the Knutsford Promenades Community organisation, were delighted to be awarded a special flag by national Heritage Open Days organisers. “We were one of just 14 events out of more than 5,000 sites and events showcasing heritage across England recognised for making a stand out contribution to the Europe and Us theme,” said Sarah Flannery. Europe & Us is a summer and autumn National Trust programme celebrating and exploring the UK’s European historical, political and cultural links. “Establishing links with the Danish Consul, a local Danish network, and the Danish school, Solbjergskolen, as well as the support of Rotary International in Knutsford, has added so much 2016 interest to our celebration of the Canute legend dating back to 1016,” said Sarah. 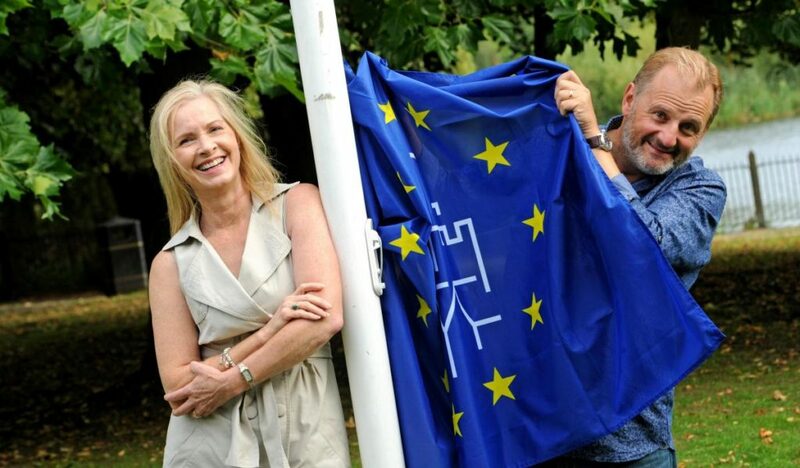 Mark Radcliffe was delighted to be invited to raise the flag on the Moor. 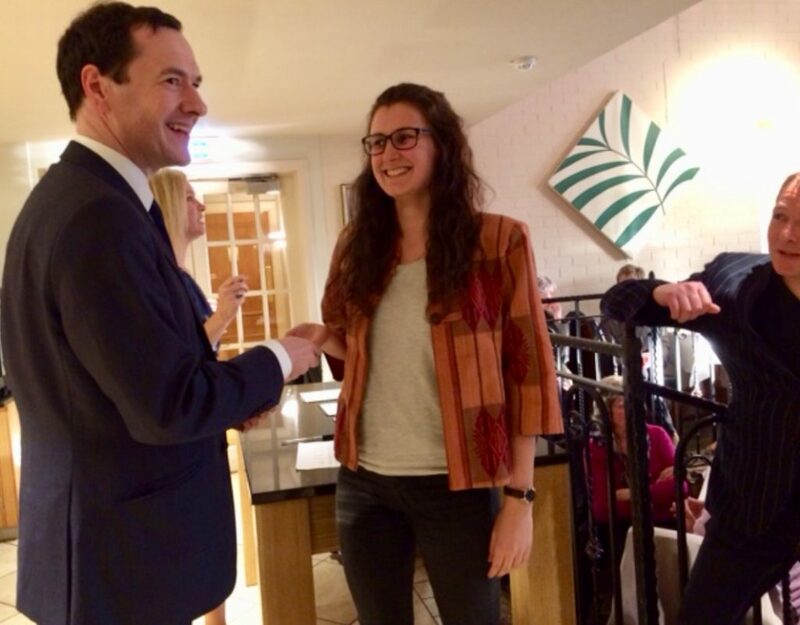 “I love living in Knutsford so much and it’s great to be part of celebrating its heritage,” he said. Canute’s Crossing takes place on Saturday, September 10 from 2pm to 4.30pm when people will pay homage to the legend by crossing the River Lily alongside the Chester Vikings who will be giving Knutsfordians a feel for life as a Viking. This is just one of the 34 sites and events which make up Knutsford Heritage Open Days’ extensive programme ranging from the special opening of the Royal George Ballroom, immortalised as Elizabeth Gaskell’s Assembly Rooms in her novel ‘Cranford’, to the ‘Value Your Valuables’ take on Heritage Open Days’ ‘Treasure Your Treasures’ theme when auctioneer Adam Partridge hosts his own antiques and curios roadshow at Don Giovanni’s King Street restaurant. 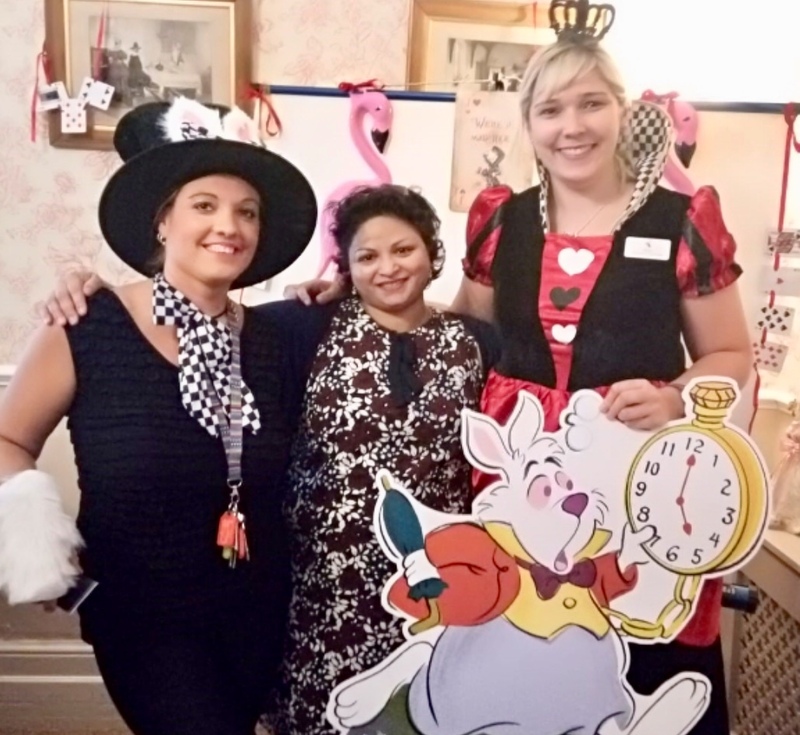 “So many groups including the Gaskell Society, Brook Street Chapel, the Tabley House Collection, numerous individuals and businesses who own some of the town’s most iconic buildings, have come together to make this a true community festival,” said Sarah. “All the details about the four-day event can be found on our website, here. 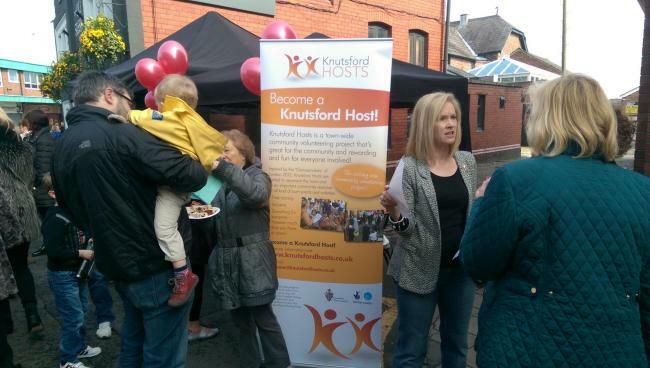 THE Knutsford Hosts, the town-wide volunteer group which acts as ambassadors to promote the town and provides support for Knutsford’s events, organisations and charities, celebrated its second birthday at the April Makers Market. 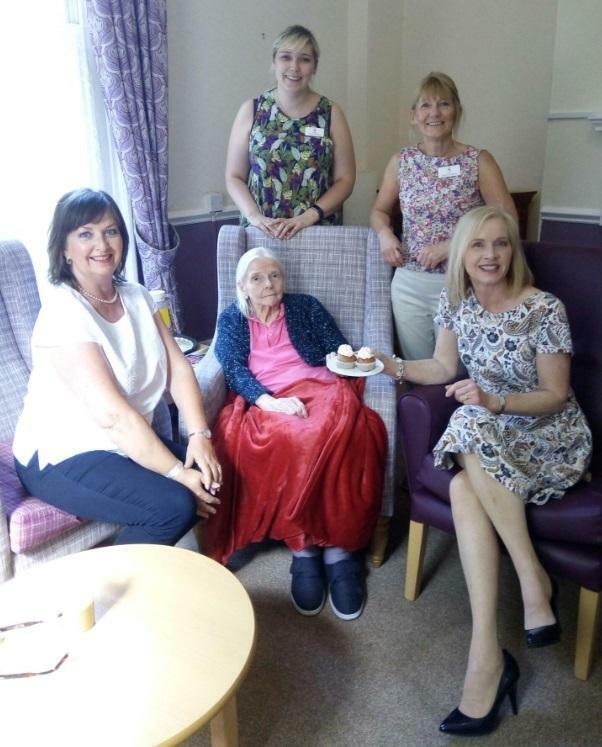 Thanks to a contribution from Equilibrium Asset Management, visitors enjoyed a piece of birthday cake whilst finding out more about the Hosts and their plans for the next 12 months. “It was fantastic to be able to celebrate our second birthday at the Makers Market,” said Sarah Flannery, who set up the Knutsford Hosts. “It is so good of the Makers Market team to provide community stalls and, thanks to a generous donation from Equilibrium Asset Management, we had lots of birthday cake to offer visitors to our stall. “The atmosphere was brilliant and the street was packed, so we had a marvellous day. We were overwhelmed by people expressing an interest in becoming Hosts and supporting the work we do. “And people from out of town said they wished that they had a similar scheme where they lived! 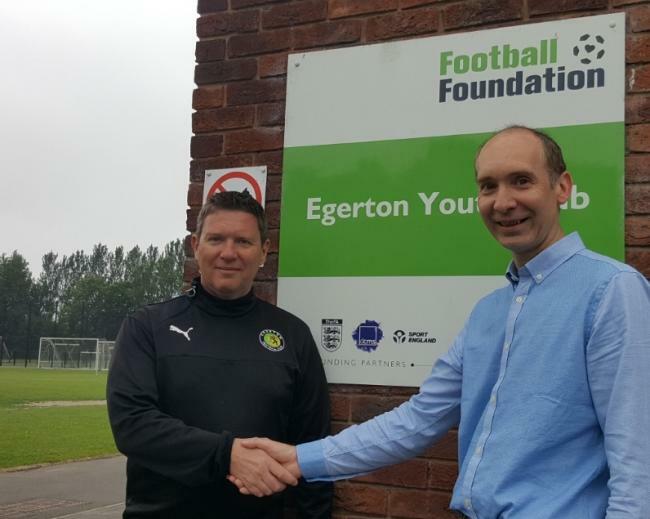 Colin Lawson, managing partner of Equilibrium Asset Management, said: “We have always believed strongly in supporting the communities we work in, so we are delighted to be able to support the fantastic work that the Knutsford Hosts do in the local community. 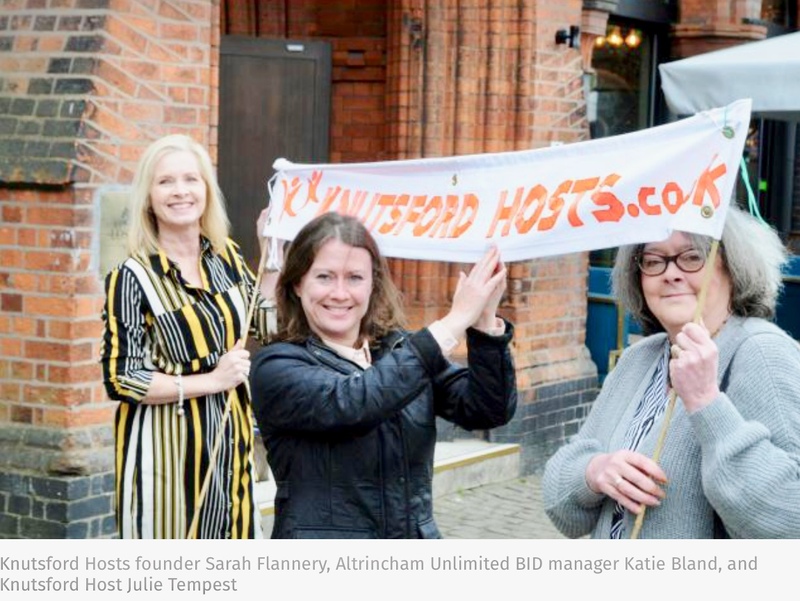 For more information about the Knutsford Hosts visit knutsfordhosts.co.